Life on Longboat Key is peaceful and serene with the incredible barrier island split between Manatee and Sarasota Counties. Sun kissed days, miles of glorious beaches, world class recreation, and fresh gulf breezes are what residents are used. Pleasure boating, golf, tennis, and other activities fill the days where temperatures are a consistent 73 degrees. Compliment these amenities with fine cuisine, the downtown Sarasota cultural community, and the quiet environment and it’s easy to see why Longboat Key real estate for sale is so coveted. The natural beauty of the Gulf of Mexico and Sarasota Bay contributes immensely to the stunning surroundings of Longboat Key. It also is a magnet for people looking to own prime real estate in Sarasota but reside on an island that’s minutes from world class dining, recreation, and numerous water based activities. Gourmet restaurants line the coast with Mar Vista Dockside Restaurant, Dry Dock Waterfront Grill, Cafe on the Bay, Lazy Lobster, and Chart House, being just a few of the gastronomic venues found here. The spectacular views of the Gulf of Mexico are what set the condos for sale at Longboat Harbour apart from most others. Built in 1970, and centrally located at 4420 Exeter Dr. on Sarasota Bay, the development is a testament to affordability in a community style environment. Some of the gracious amenities found here include boat docks for up to a 34 ft boat, carport, elevators a beach pavilion with deeded beach access, four swimming pools, tennis courts, gym, social rooms, putting green, fishing pier, and a floating dock for kayaks. 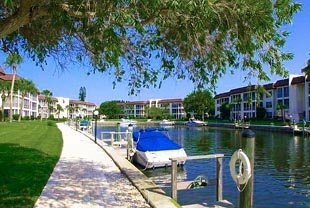 Longboat Harbour condos for sale boast the glorious sunsets Longboat Key is noted for and you can select from 2 or 3 bedroom configurations with floor plans varying from 725 to around 1,680 square feet. Price points will run from around $180,000 to the $340,000 area. For a truly remarkable way of life on an island, take a quick walk outside your door that brings you to your boat berthed on Sarasota Bay or laps in the sparkling pool or just a few more steps and a leisurely walk on the deeded access beach is yours. Sport fishing and pleasure boating aficionados will cherish Longboat Harbour for its network of first come first served boat berths. They all offer quick and convenient access to the waters of the Gulf and the Sarasota Intracoastal Waterway. Here accomplished yachtsman, other pleasure boat drivers, and even open sea or backwater fishing buffs will be looking for the big ones in the Longboat Harbour area. Life on the water brings a naturally responsible element to anyone’s way of life here but especially to the pleasure boating crowd.